Stop the car! Remodeled 3 bedroom home that is ready for new home owner. Home has been fully updated with new tile, texture, paint, lighting, carpeting in bedrooms. Fully updated kitchen with new cabinets and plenty of counter counter space. Open floor plan for cozy family gatherings. Master and guest baths have been fully updated with new tile surrounds and vanities. 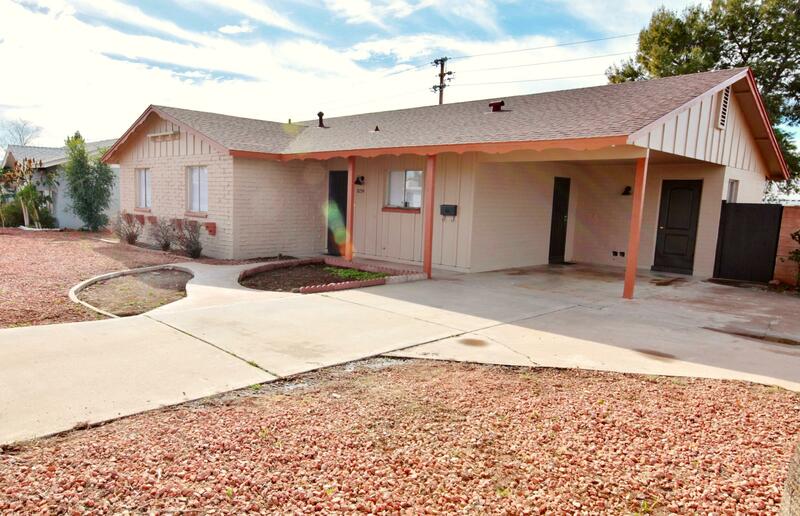 This 1452 sf home sits on a corner lot with plenty of parking space. Nice size backyard with covered patio for those beautiful days to enjoy entertaining family and guests. Call us now to set up a private showing.